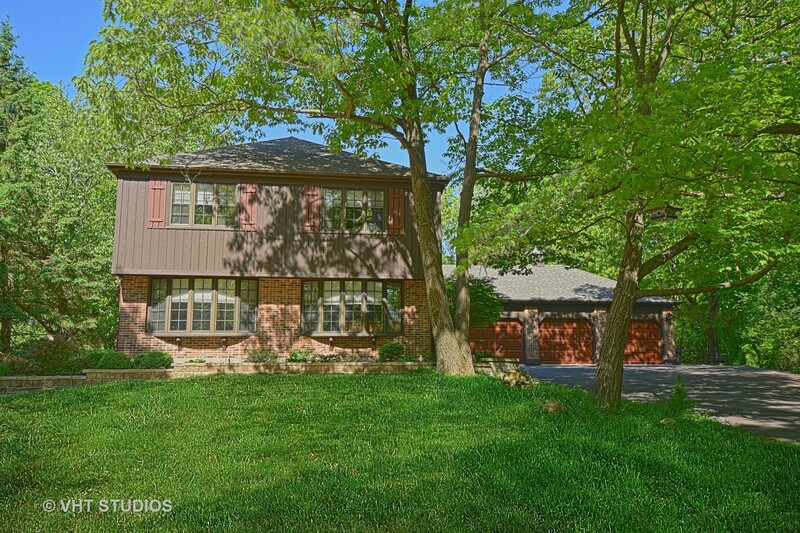 Spacious home is nestled in a lush wooded setting situated at the end of a cul de sac just minutes from downtown Barrington. The 1st floor is complete with LR,DR,K leading to a deck, EAS and a study with a vaulted ceiling, skylights and a two sided fireplace which is shared with the FR. Gleaming hardwood floors add to the warmth. Four oversized bedrooms on the second level allow everyone space for privacy. The lower level is finished and offers a large recreation room, a 2nd kitchen, a full bath, a mechanical room (26x7), a storage room and a cedar closet for off season clothes. Too many pluses to enumerate: extra windows for additional natural light, extra wide staircases, and outdoors you will enjoy entertaining on the patio or conversation sitting around the firepit with a woodshed nearby. The quiet, tranquil setting is a great place to unwind. The cedar barn is super for housing recreational or lawn equipment storage. Comments: Visit this lovely listing! Comments: Visit this lovely listing and leave with a treat!